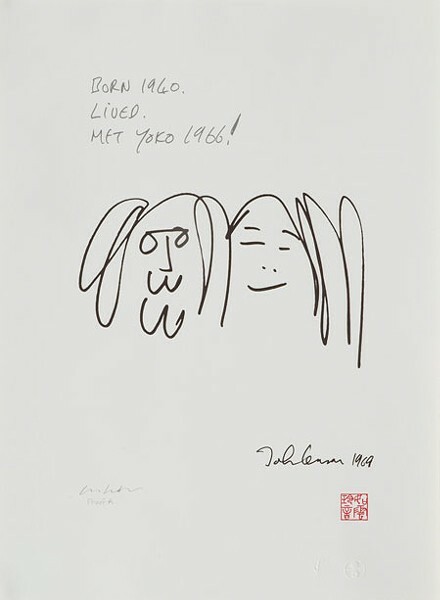 Considering that the relationship and endeavors of Beatles front man John Lennon and wife Yoko Ono often evoked controversy, it's not all that surprising that In My Life: The Artwork of John Lennon is doing more than causing folks to "come together." It, too, is ruffling some feathers in the art world. 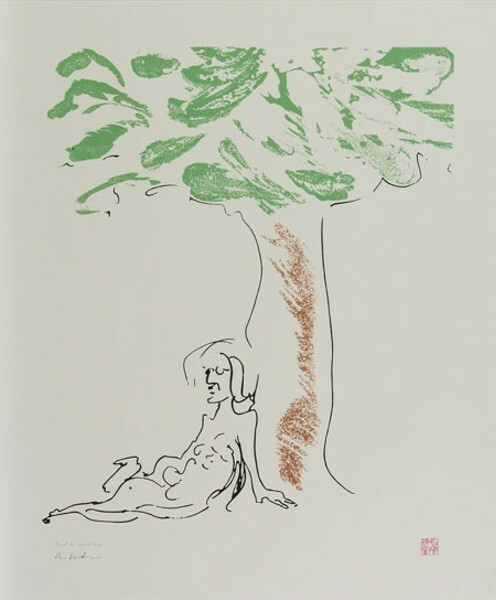 The exhibit, organized by Legacy Fine Art and Productions and Ono, features approximately 100 prints of sketches and drawings that Lennon created between the mid-1960s and his death in 1980. Some of the works, ranging in price from $200-$25,000, have been doctored with slight tintings, color additions and other manipulations absent in the original compositions. This has irked Gary Arseneau, a printmaker of original lithographs, to the point of sending out press releases that call the art "fraudulent" and creating a website based around the idea that "The dead don't create artwork." We get the argument that in some ways these additions could ruin Lennon's original intent (and, of course, they make the artwork no longer authentic), but it also seems that they very well might make the works more compelling. 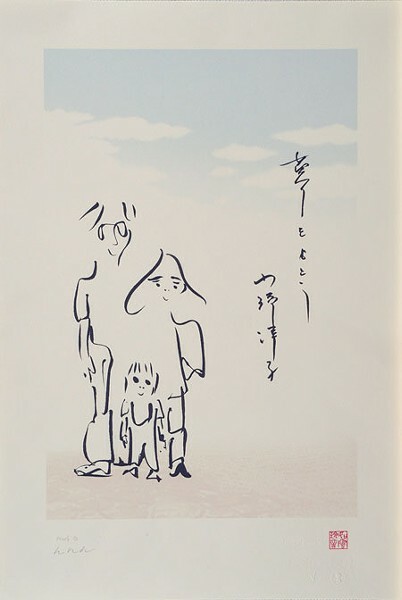 Though press releases for the show don't directly state any of this, Ono clarifies that she isn't trying to hide the works' touch-ups from the public or potential art buyers. When asked about the changes, she said, "Some people didn't like that I did the colors and naturally, I would say the same thing if somebody else did it, probably." In fact, the exhibit's organizers' idea to add color wasn't initially greeted fondly by even Ono. But after thinking on the idea, she changed her stance. "I realized that it has to be like a record cover. A record cover has to be a certain way; otherwise, it won't sell. I thought, 'I can't be rebellious for John, so, OK, I will do the coloring because John would not have minded if I did it. So what I did was, I colored it very, very lightly so that it doesn't interfere with his beautiful drawings." A true believer of Lennon's artistic abilities, Ono has worked to keep the show traveling from city to city for the past 20 years, with donations going to charities and non-profit organizations — $2 entry donations for the Charlotte exhibition will go to support Second Harvest Food Bank of Metrolina. Ono believes her late husband's work is reflective of his ongoing advocacy for peace and just as relevant today as it was then. "Artists usually think, 'Well, it's better to do dark,' but John with his sense of humor and the way he was thinking when he was drawing these things, he was very light and warm and had a lot of humor. When people see that, they feel more peaceful." 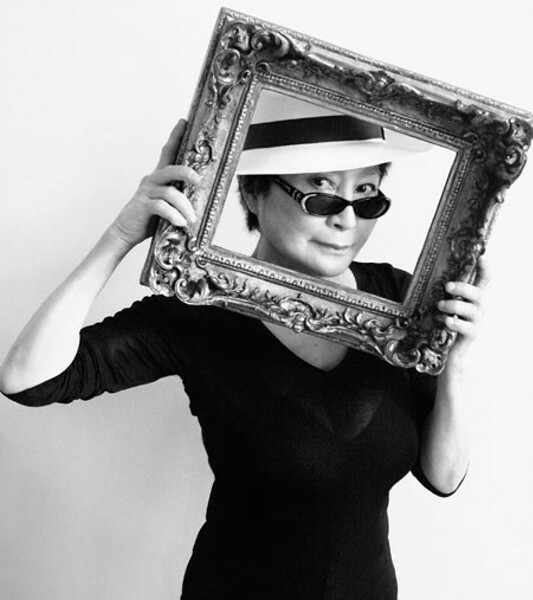 Ono, a pioneer of concept art in her own right, turned 80 this year and currently has her own art exhibit on view at the Schirn Kunsthalle in Frankfurt, Germany. She's also curating London's Meltdown Festival, with a performance of the entire Double Fantasy album, Lennon's last disc recorded with Ono, and a heavy dose of activism. A longtime advocate for gun control, Ono recently popped into the ongoing debate when she Tweeted some gun violence facts and a photograph of Lennon's bloody spectacles on what would've been the couple's 44th wedding anniversary. May 3, 5 p.m.-9 p.m.; May 4, 11 a.m.-7 p.m.; May 5, 11 a.m.-6 p.m. Doubletree Suites at South Park, 6400 Morrison Blvd.